From drug-riddled urban public housing projects to impoverished Native American reservations to decaying coal mining towns, economic dependency has become a way of life for millions. But government welfare checks instill in their recipients a false sense of entitlement. The results are a perverse psychology marked by inferiority complex, victim thinking, lack of confidence, learned helplessness, inability to cope with adversity, an absence of self-responsibility and accountability, and ultimately an inability to feel the empowerment that self-sufficiency can bring. Worse, such attitudes are passed on from generation to generation until too often they become normalized. The damage caused by programs like these, it turns out, is no different from the sense of entitlement fostered by middle- class parents around the world who lavish newfound wealth on their children, only to find themselves creating a spoiled, undisciplined younger generation lacking the skills and even the desire to become responsible adults. Author Calvin Helin worked his way up from an impoverished boyhood in a remote Native American village to become a successful attorney and international businessman. He has dedicated his life to helping others break the bonds of economic dependency and emerge with newfound confidence and self-worth. 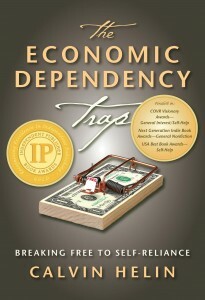 Now, in his new book, The Economic Dependency Trap: Breaking Free to Self-Reliance, Helin reveals the hidden puppet strings attached to handouts on every level, from households to the global economy. He proposes groundbreaking, positive solutions in down-to-earth language every reader can relate to. This book is essential reading for educators, community organizers, and others who work for social reform, as well as for pundits and policymakers. 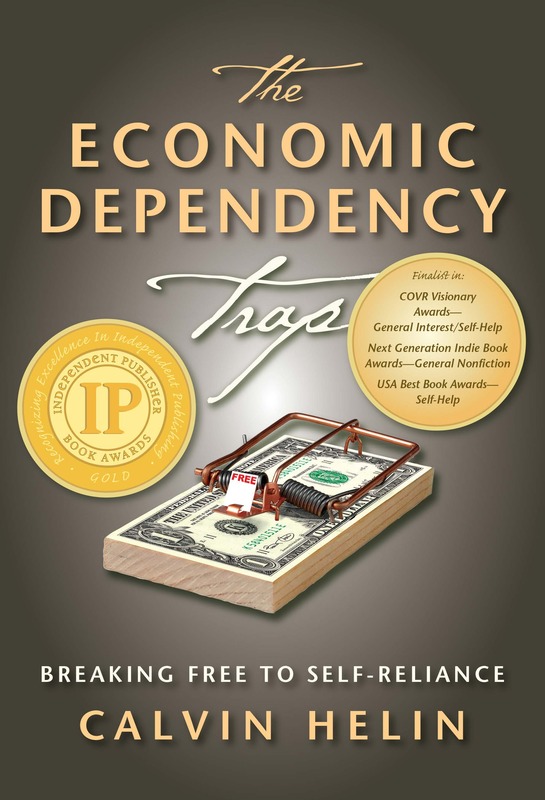 Most importantly, it is for people in all strata of society who are seeking a nonpartisan blueprint for breaking out of the prison of economic de- pendency, improving their own life circumstances, and achieving prosperity based on self-reliance.